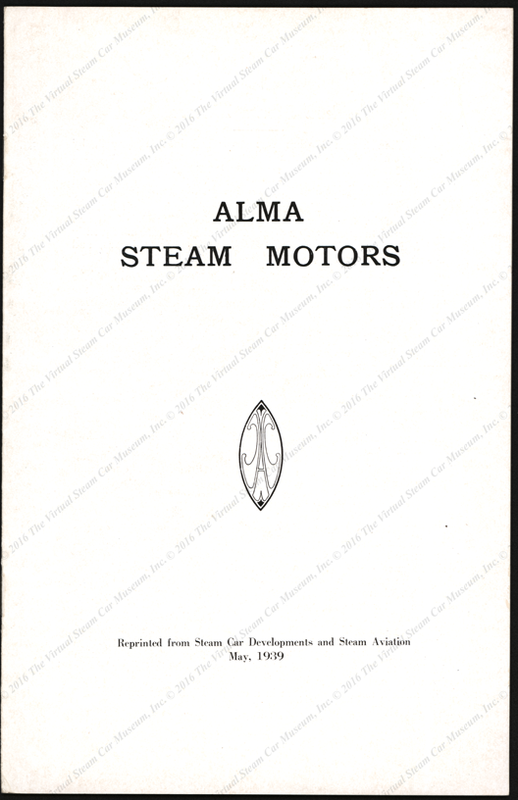 Successors to Steam Motors, Inc.
Alma Steam Motors was organized in April 1938 as the successor to Steam Motors, Inc. It was driven by the employees, whose belief in steam automobile power never waned. 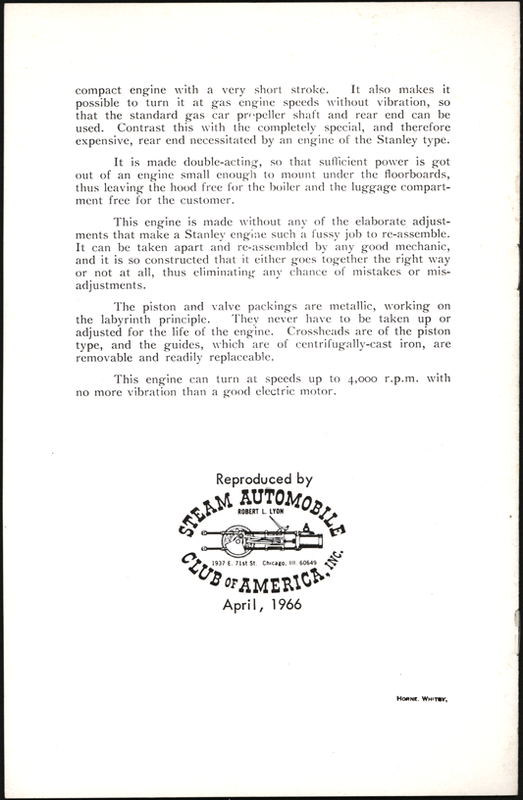 The back cover of the SACA reprint carries the SACA Logo and April 1966 publicatoin date. 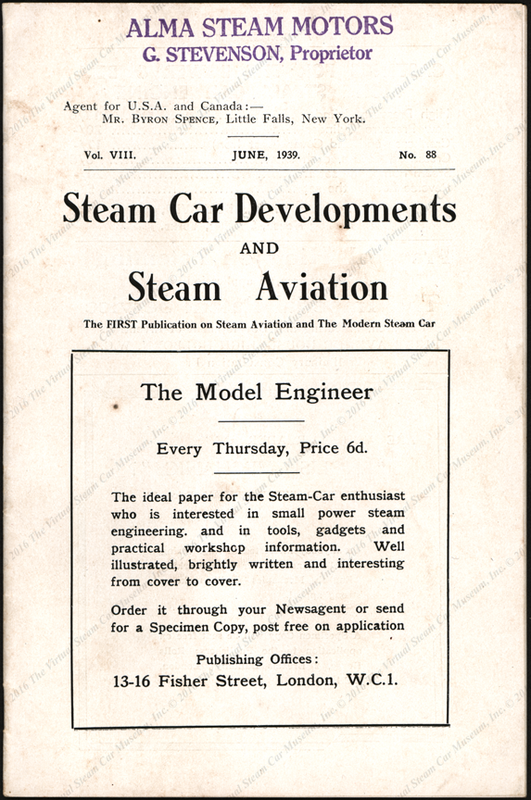 Visit the Steam Automobile Club of America web site to purchase this publication. Contact us if you have additional information about Alma Steam Motors, or if you have questions.